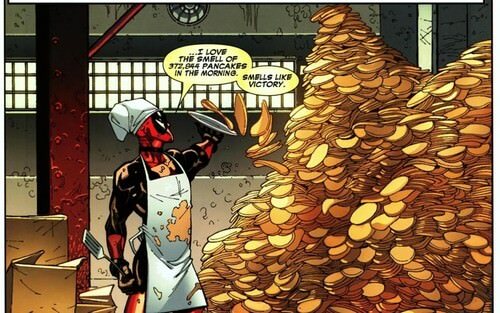 One of the cool things about Deadpool is that he has a favorite food and it is an awesome food. I had an idea for a post. 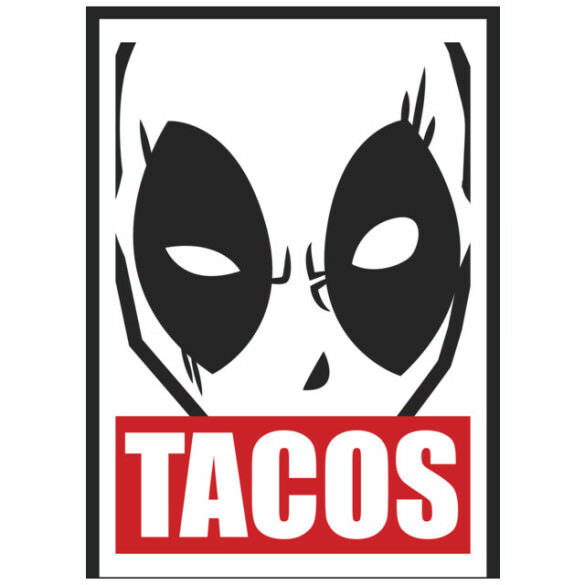 What if we just had a post entirely devoted to Deadpool's love of tacos. People thought I was mad, but doesn't that fit with Deadpool even more? 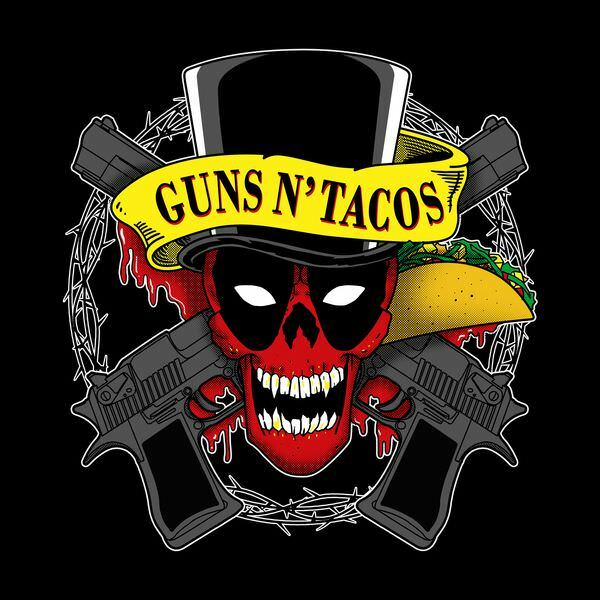 So as we celebrate Deadpool on this glorious day of Deadpoollyness let us not forget to play homage to the delectable, the tasty, the glorious Taco! 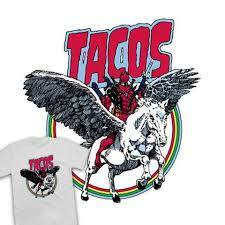 Is this seriously a post that is nothing but pictures of Deadpool and Tacos......Yes it is. If you want to know something even more funny this page has long been one of the more popular on the Toylab website. 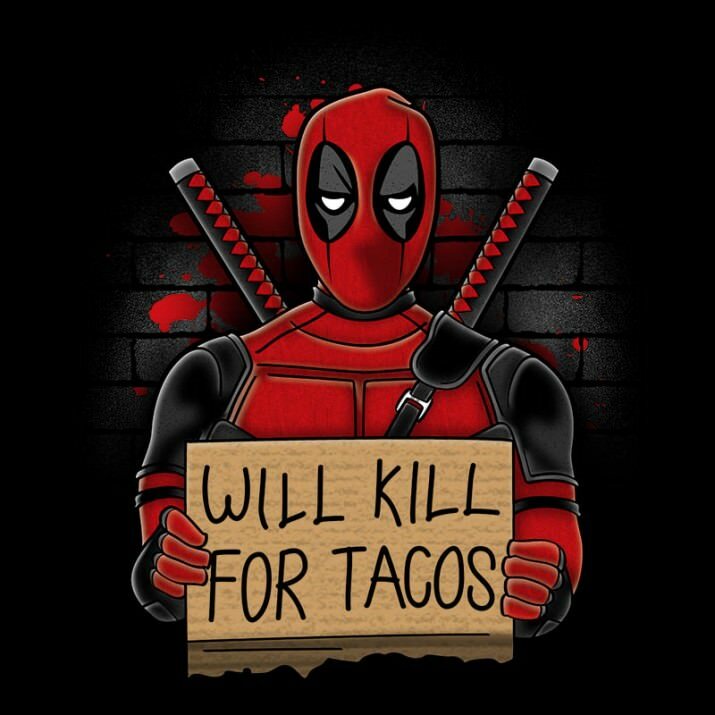 People love Deadpool and Tacos. 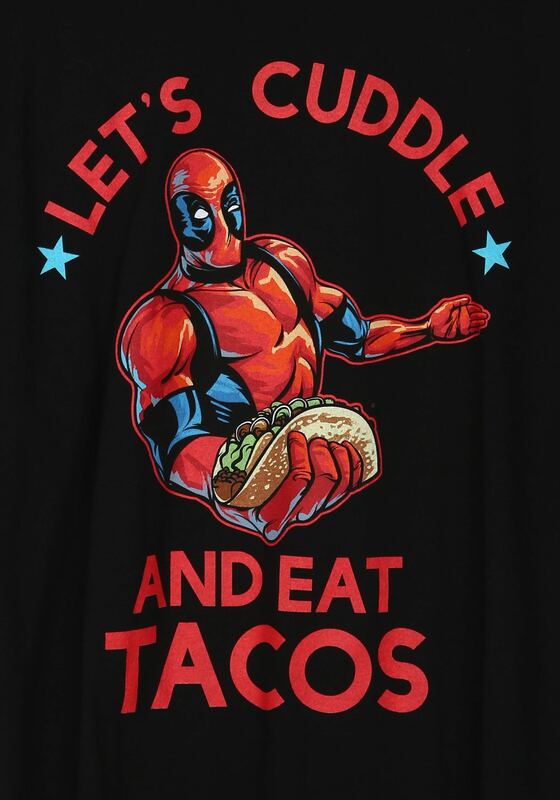 The page includes pictures from T-Shirts, Toys, Posters, Fan Art and Comic books anything that depicts Deadpool and his love of Tacos. 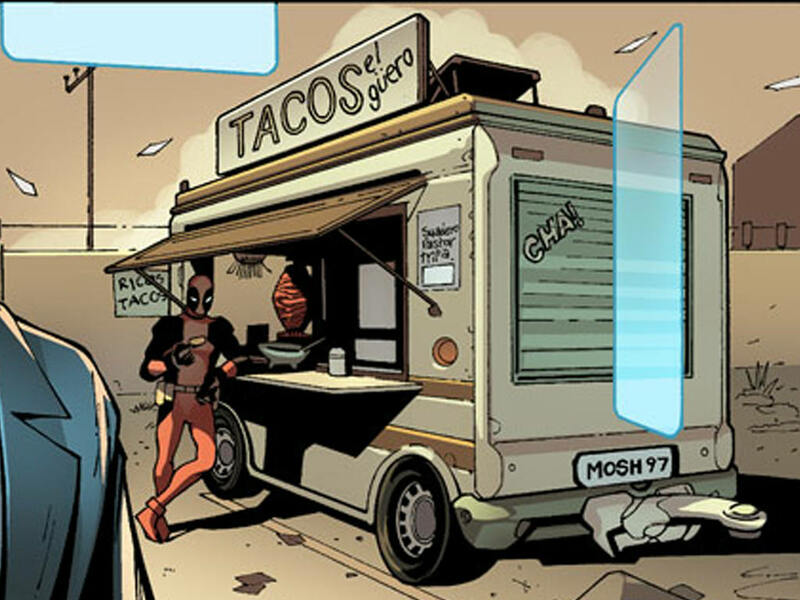 Yes Deadpool also eats Tacos in the comics. This is not something made up for the film. He is seen both making tacos and visiting numerous Taco trucks. In particular he visits a taco truck called Tacos el guero on multiple occasions.